Throughout all of last year, I reckon the artist to have come out of nowhere- quite literally- to deliver one of the most impacting and musically different songs I’ve heard in a long time, is Branan Murphy and his song “All The Wrong Things” from 2017, with Koryn Hawthorne as a guest vocalist, as he infused pop and rap quite skilfully and effortlessly, so much so that I rated his debut EP that he released a year later, as 5/5. It’s predominately because Branan has delivered to us a brand of Christian pop not heard before in recent memory, with the sleek production almost rivalling some of his mainstream contemporaries such as Justin Timberlake or One Direction. With Branan’s music being a must-listen if you enjoy similar artists like Lecrae, Colton Dixon and Royal Tailor, with his songs probing and prodding, breaking down the barriers placed there that divide ‘sacred’ and ‘secular’ music; we are now introduced to more music from Branan– Taken from my review of Branan’s latest four singles which I posted last month; the assertion still stands that Branan is one of the most unique artists currently musically, vocally and lyrically- as he challenges us about the status quo and asks us about why things are the way they are and how they should be different if they indeed need to be. This past couple of weeks, Branan has further probed and prodded with his latest single “Perfectly”, and as we dive in and examine the notion of Jesus loving us all perfectly despite everything we’ve done- we can understand that Branan is a passionate man of God, who just wants to see the kingdom of Heaven be present on Earth in our lifetimes as well. “Perfectly” is a song describing exactly that- that Jesus loves us unconditionally and perfectly all the time. No ifs, no buts, no conditions. He loves us and that is that- and this notion should free us and make us more grateful and thankful for the cross and the resurrection. We were dead and unworthy, but without rhyme or reason, Jesus stepped in and paid the price. Not catch. Just unending love and us now sons and daughters of the Lord Most High. 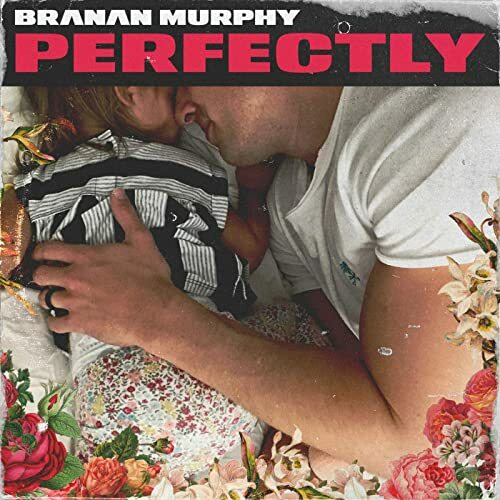 “Perfectly” is bound to boggle the mind, and no doubt some of us may not grasp the enormity of what Branan is conveying for a long while- but if we just sit with this acoustic melody and reflect upon the words of truth; then I’m sure our perspective and whole life will change. Well done Branan for probably your most important song since “All The Wrong Things”! As I mentioned in a previous review; Branan Murphy’s music is quite different. Very unique and a fusion between pop and rap; Branan’s music is something that you’d never expect. With Branan fusing together a number of genres to create tracks that no one in the CCM industry has been able to achieve to great success until now; there’s literally nothing much more that I can say about “Perfectly”- the song itself isn’t perfect; yet the track is nonetheless catchy- so what don’t you all hop onto Spotify or iTunes or wherever you all listen to music these days, and blast out Branan’s latest singles, including this brand new one (possibly part of a greater album or EP in the near future!)? You’ll definitely love these songs as much as I do! These songs are some of the strongest ever I’ve heard from any debut artist (well I guess Branan’s a sophomore artist now…). That’s how powerful and impacting I reckon Branan Murphy is as a songwriter! Watch out world, Branan is about to be big! And maybe he’s releasing more music soon every month- we’ll just have to wait and see!